Note: I (Raza Hassan) was just translating the book "Saheefah Hammaam bin Munabbih" with its sharh, and while translating I came across this hadeeth and its explanation which I thought would be beneficial If shared with everyone. 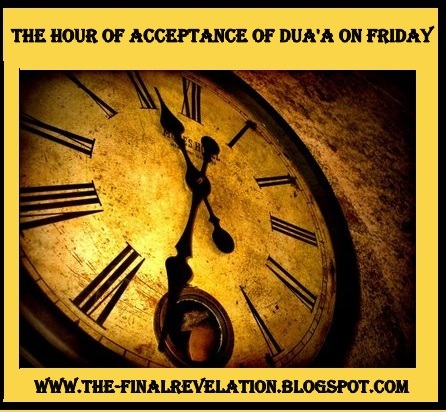 The Apostle of Allah (peace be upon him) said, "There is an hour (or a moment) of particular significance on Friday. If it happens that a Muslim is offering a prayer and invoking Allah for some good at that very moment, Allah will grant him his request." This hadeeth is a proof of the virtues of the day of Friday, and there is an hour on this day which is the hour of Allaah’s special blessing and acceptance. There is a difference of opinion as to which hour that is, or when does this hour come? According to some Sahaabah, this hour is after the prayer of Asr until the setting of sun. Sa’eed bin Jubayr has narrated this opinion from Abdullah bin Abbaas (radiallah anhu), and this is also the opinion of Imaam Ahmed and Imaam Ishaaq bin Rhwayh (rahimahumallah). Haafidh Ibn Hajar (rahimahullah) has explained these narrations in detail in Fath ul-Baari (2/415-420), and has narrated forty three (43) sayings of the Fuqaha and Ulama regarding this. This is the most authentic opinion in this issue, that the hour of acceptance is that one hour which cannot be specified; therefore we should strive and struggle to find it in all the hours mentioned above. Wallahu a’lam. At the time of Azan (Call for Salah). (Abu Daood). Between the Azan and the Aqaamat. (Abu Daood). A troubled or sorrowful person’s Dua, after the Azaan’s words/part: “Hayya-alas-Salah” “Hayya-alal-Falah”, when Mo’azzan is calling for the Salah. (Hakim). JazaakAllah khair for this post. May Allah protect all those involve in sharing all this khair. Im researching this issue for some assignment & subhaanallah i find imam Ash Shawkanis sharh really wise Rahimahumullah n among the best ive seen thus far.